A wonderful, thought-provoking post! I suppose that "taking these speculative and transgressive fantasies about science too seriously" would mean at least failing to look critically at whether they are even possible, given what we now know and are able to do. That is indeed an important task, although it is also a moving target--the fantasies of a few decades ago have been known to become realities. To that extent, taking them "too seriously" might also mean failing to distinguish between the monstrous and the useful. That is to say, one would take the fantasies too seriously if one accepted at face value the supposed non-monstrousness of the goal being advanced or (to put it another way) if one accepted the creation of monsters as something ethically desirable. I’m grateful for Charlie’s comment — you should read the whole thing — not least because it gives me the delightful opportunity to pontificate a bit more on the moral implications of this sort of monstrosity. There are indeed a number of technologies that are on the border of the monstrous and the useful. And, just as many things that decades ago were considered technically fantastic but are now realities, there are many practices that were once considered morally “fantastic” (i.e., monstrous) but are now widely accepted, such as in vitro fertilization (IVF, the technique for producing so-called “test-tube babies”) or organ transplantation. (Though these technologies have become broadly accepted by society, neither are by any means wholly uncontroversial or devoid of moral implications—many still find IVF morally problematic, and proposals to legalize the sale of organs for transplantation are a matter of ongoing controversy.) Scientists sometimes make what was once monstrous seem acceptable, but largely through showing that what is monstrous can be useful — meaning that a seemingly monstrous practice has some actual benefits, and that whatever risks it poses are relatively limited. This is the refrain often heard in debates over assisted reproductive technologies, that though IVF was once considered monstrous, after forty years and millions of babies provided more or less safely for infertile couples, the practice is, advocates claim, now largely unobjectionable. To take a biotechnological example that is in some respects analogous to Ai Hasegawa’s dolphin-baby project, consider the possibility of growing human organs in pigs or other animals. There is something monstrous about human-pig chimeras — creating them violates taboos relating to bodily integrity and the immiscibility of species — but there is something very useful about having a ready supply of kidneys or pancreases, and so human-pig chimeras are a logical extension of Baconian (forgive the pun) science’s effort to relieve man’s estate and all that. Whether human-pig chimeras or any other useful but monstrous innovations of Baconian science are ethically acceptable is just the sort of question that deserves serious attention. More interesting is the idea that giving birth to a non-human animal could satisfy a woman’s demand for “childbirth” and that the act of gestating an animal could “change its value” and imbue it “with the love of motherhood.” Such statements indicate that this project does not really aim at helping people secure the enjoyment of things that they currently value, but at transforming values by questioning the relationship between motherhood’s natural purpose and context and its value. Hasegawa’s project seems comparable to Jonathan Swift’s “Modest Proposal” for solving hunger and overpopulation by eating babies, which was a satire of amoral rationalistic utilitarianism. But one hardly gets an impression of an excess of rationality in Hasegawa’s proposal. The video portraying her giving birth to a dolphin might be seen as creepy or silly, but its creepiness and silliness comes from an absurd misapplication of parental sentiment, not the absurd absence of parental sentiment in Swift’s satire. 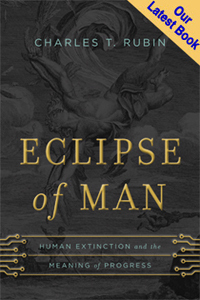 the most insidious question of all would emerge into the foreground: whether science can furnish goals of action after it has proved that it can take such goals away and annihilate them; and then experimentation would be in order that would allow every kind of heroism to find satisfaction—centuries of experimentation that might eclipse all the great projects and sacrifices of history to date. So far, science has not yet built its cyclopic buildings; but the time for that, too, will come. Hasegawa would seem to be one of those heroic experimenters who seeks to build new values out of the rubble of exploded notions of the good life (in this case, motherhood). The destroyers of these values have been those legions of industrious scientists over the twentieth century — including social scientists, many of whom have been highly influenced by Nietzsche — who have sought to explain or explain away moral values in terms of power or greed or evolutionary drives. Sensible people should reject both halves of Nietzsche’s prophecy about the future of science. We should reject the premise that science has an inherent tendency to destroy moral values on both pragmatic and theoretical grounds. Pragmatically, it is unwise to give public credence to the idea that science undermines morality, since, whatever the real validity of that proposition, if it is accepted it could become a self-fulfilling prophecy — believing that science refutes morality could lead to the abandonment of morality. Theoretically, accepting the idea that science can refute morality seems to lead directly to relativism or nihilism. 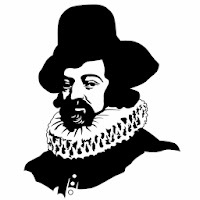 For if science qua science (and not overconfident deviations from science like scientism that lack the epistemic rigor that science must necessarily strive for) refutes morality, then there could be no true moral knowledge (for if moral knowledge were true, then it could not truly be refuted by science). If we reject that premise, then there would be no need for the simply monstrous projects aimed at inventing or transforming values — Nietzsche’s “most insidious question” never emerges. Bacon’s science and its fruits often call for us to balance the moral need to avoid the monstrous with the moral demand to pursue the useful, and we will all surely continue to face dilemmas of how to balance these moral demands. But we need not worry about those who claim that the progress of science alters the nature of morality itself. On November 19, the Woodrow Wilson Center in Washington, D.C. hosted a short event on the myths and realities surrounding the growing “DIYbio” movement — a community of amateur hobbyists who are using some of the tools of synthetic biology to perform a variety of experiments either in their homes or together with their peers in community lab spaces. The event drew attention to the results of a survey conducted by the Center’s Synthetic Biology Project that debunk seven exaggerations about what makes these biotech tinkerers tick and what they are really up to, particularly the overblown fears that those involved in DIYbio are on the verge of being able to create deadly epidemics in their garages, or even customized pathogens for use in political assassinations. According to the survey, members of the DIYbio community are far from possessing the skills or resources necessary to create complex pathogens. 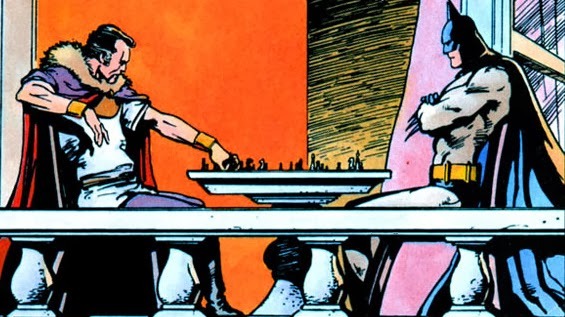 And as Jonathan B. Tucker wrote in The New Atlantis in 2011, the complex scientific procedures necessary for creating bioweapons involve a good deal of tacit knowledge and skill acquired through years of training; most of them are not explicitly written down, but are embodied in the complex technical practices carried out in actual labs. The DIYbio movement does aim at “de-skilling” complex biotechnological methods, but apocalyptic fears and utopian hopes about the democratization of biotechnology should, for now, be taken with a grain of salt. Though more extensive regulation may be needed in the future, it would be unfortunate if this emerging community of amateur enthusiasts, who seem to represent that spirit of independent-minded restless practicality that Tocqueville long ago saw was characteristic of the scientific method in American democracy, were stopped by bureaucratic red tape. 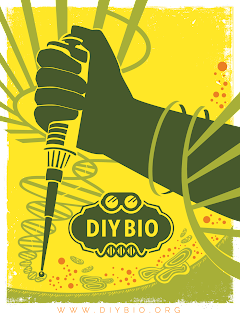 Admittedly, this rosy view of the DIYbio movement as a community of amateur hobbyists engaging in benign or useful scientific and technological tinkering might be a bit overly optimistic. And beyond the safety risks posed by the technology, there is the prospect of it being used as a tool to advance some of the ethically problematic goals of transhumanism — transgressing natural boundaries or even re-engineering human biology. As a novel, exciting, but not very well-defined field, synthetic biology seems like just the kind of technology that could make plausible the dreams of limitless control over the body that animate so much of transhumanist thinking. The more benign portrait of the DIYbio community as innovative tinkerers dedicated to experimentation and problem-solving better represents the motives of most scientists than deliberately provocative art projects. As Eric Cohen rightly notes, in our democratic society we do not use biotechnology to “seek the monstrous; we seek the useful.” Scientists deserve this kind of charitable interpretation of their motives, even and especially when scientific fields become the subject of bizarre transgressive fantasies like plans to clone Neanderthals (the stories of which were greatly exaggerated) or giving birth to dolphins. Taking the relationship between such fantasies and the scientific enterprise too seriously creates an exaggerated appearance of opposition between science and the common decency, which might create a false impression that one must choose between respecting science and respecting ethical boundaries. As with much of transhumanist ideology, taking these speculative and transgressive fantasies about science too seriously could do more harm to the ethical integrity of science than would simply dismissing them.